THIS BIRD WILL ALWAYS FLY is an EP of songs about leaving and finding a sense of place, a sense of home. Lyrically driven Americana.
. . . writes and plays music in the tradition of the old soul, the rambler, the traveling singer-songwriter -- characters found along the ever-growing timeline of honest music. Pulling from his influences, Patrick plays a mix of folk, soul, country, and rock and roll that has come to be called, for better and for worse, Americana. Originally from a small town on the North Shore of Long Island, New York, Patrick has lived everywhere from Boston to Los Angeles to Brooklyn to his current home in Sacramento, California. Along the way, he has released two albums, a bunch of demos, and performed countless shows in cities across the US. He also got married, went back to school to earn a master's degree in fiction writing, and had a baby. 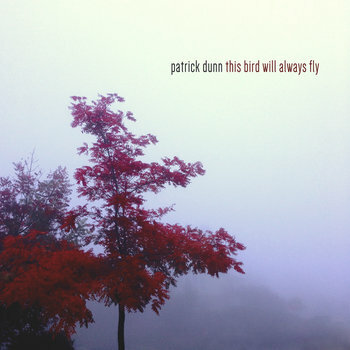 Patrick's latest release, THIS BIRD WILL ALWAYS FLY, is an EP about finding a sense of "home."